To speak sensibly about food we need to think about time. We must look back at how people and communities have fed themselves over the centuries, forming identities, rituals, relationships with the land, societies and symbolism. Only through this wider, deeper approach will be able to lucidly observe the current situation, and appreciate its most controversial and innovative aspects, imagining trajectories of evolution for that universal practice of all living beings: eating. We inevitably arrive at the big question: how will humanity nourish itself in the future? How will we put an end to the flaws which weigh so heavily upon a food system which, beginning with the common good, fundamentally shapes our way of thinking about and looking at the world? Slow Food has, since its birth in the 1980s, searched for the answers to these questions, through the daily practices of farmers, producers and artisans, through education, research and international activism. The progress made on this debate is at the center of the International Congress which is taking place in Chengdu, China, a country that after 15 years of unprecedented growth is now having to face up to the contradictions in its environmental and agricultural plans. Here, 400 delegates from 90 countries are trying to draw up the destiny for our movement over the coming years, identifying the priorities for action and planning. There are two key words that will take us forward: inclusion and openness. The experience of the Terra Madre network has convinced us of this since it was started in 2004. We can’t hope to make much impact on the food system acting in isolation, afraid of contaminating our pure positions, of mixing, of crossing paths with roads we don’t consider our own, or listening to voices of a different timbre. If we want to contribute to a positive transformation of the world, we can’t disregard the importance of forming alliances and networks, involving actors with common goals on a wide range of themes. It’s time for us to share the responsibility for carrying these ideas forward, because we can’t do it alone. Only in this way can we shape a new reality, one in which the relationship between city and country drives inclusive rural development, where a community of informed consumers (or better, co-producers) chooses clean agriculture that regenerates the environment and biodiversity, protecting animal welfare and mitigating climate change. Access to good, clean and fair food will guarantee us a worthy, promising future. To be a Slow Food activist today means working on these questions and doing so with everyone who, like us, believes that we can see the future of humanity through the prism of food. 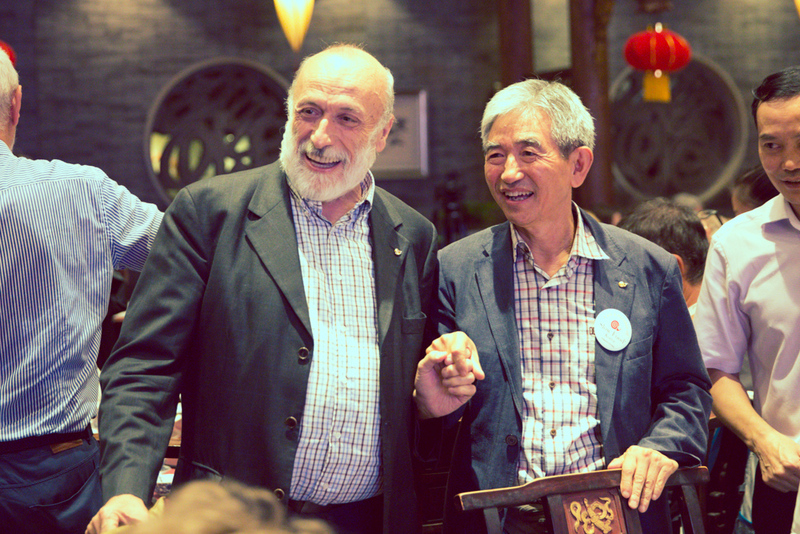 The International Congress in Chengdu has seen the launch of Menu For Change, a communication and fundraising campaign based on the relationship between our food and climate change. Responsible for a fifth of total emissions, the food system’s impact on the climate regards us all. With our daily choices we can change this figure, and push the international community towards the implementation of real strategies and solutions to mitigate this global phenomenon, starting with food. Working on climate change becomes is therefore duty for Slow Food. And while the agroindustry is among the major causes of climate change, it is the small-scale producers who are among the first to pay the consequences. With this campaign Slow Food shows how climate change is affecting farmers and food producers around the world, and the practices which can contribute to its mitigation. A campaign which raises awareness but that which must also raise funds to support those small-scale projects and activites which Slow Food has carried forward for decades: food and environmental education in schools around the world, support in the field and beyond for artisanal producers, lobbying campaigns in the European Union and beyond to protect our food, and advice and information for consumers. There are many ways to join the campaign: on the dedicated website you can find all of them, and how to donate. Every small contribution makes a difference, and every individual action can trigger positive global change.